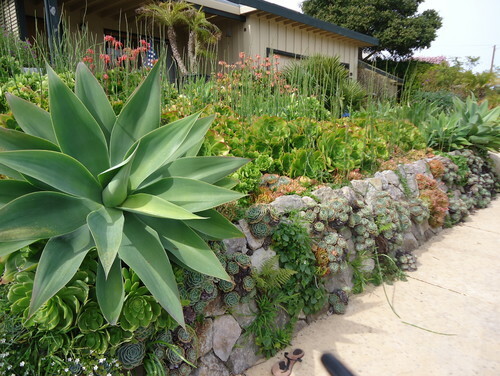 I am a big fan of succulent plants – they are versatile, offer a great variety of shapes, sizes and colors, and are easy to group with their cousins. 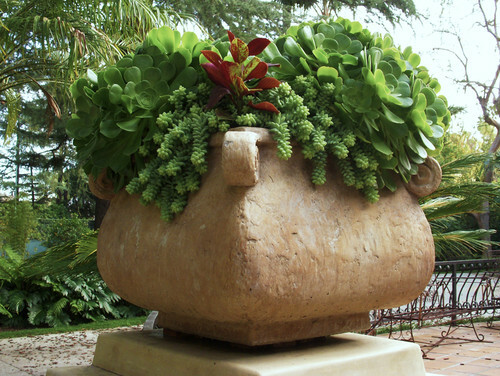 Traditionally, succulents have been grown in pots as display or accent plants. 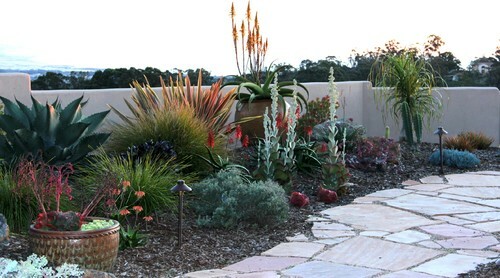 In recent years, they have become popular landscape plants. 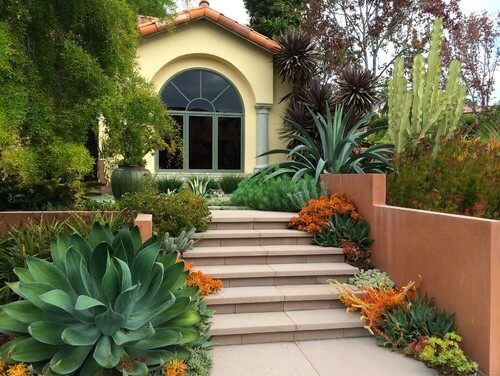 Modern landscape designers are now appreciating succulent plants for their architectural forms and using them in traditional as well as experimental landscape designs. 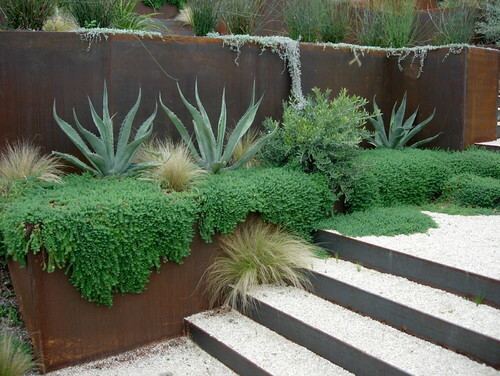 Most succulent plants grow solitary or form small groups. 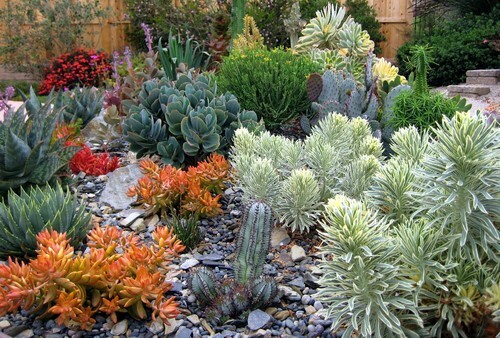 They rarely outgrow their environment and thus make good plants for grouping with their cousins. 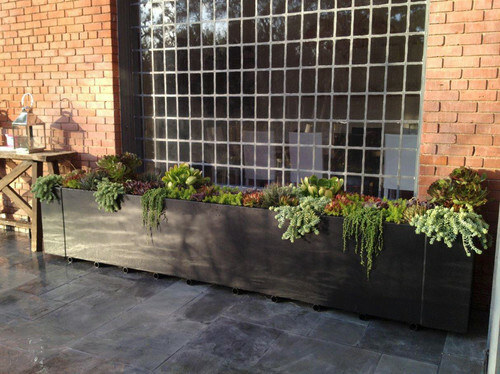 You can find succulent plants in all sizes – we ranging from mat-forming ground covers to low-growing foliage plants and from large globe-forming succulents to tall and cylindrical plants. 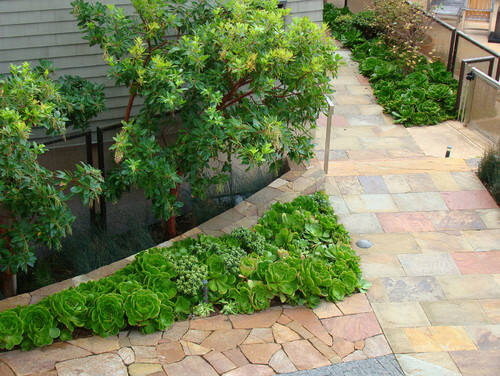 Most succulent plants have similar requirements which makes it easier to group succulents plant from different genera in a landscape design. 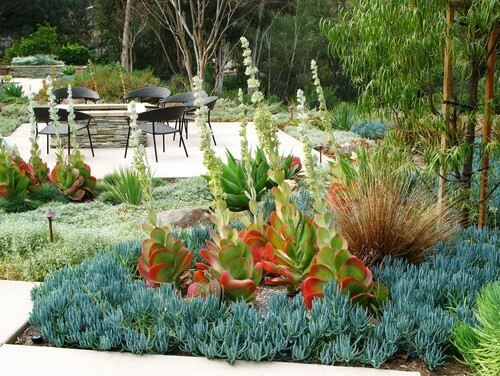 They require well-drained soil, less frequent watering, and occasional cutting or division. 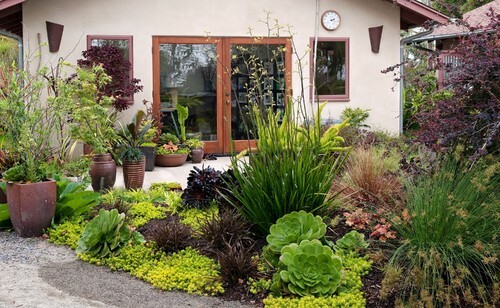 Some common succulent plants that do very well in landscapes include several varieties of cacti and a large selection of plants from the genus of Aeonium, Agave, Aloe, Crassula, Echeveria, Euphorbia, Sedum, and Sempervivum. 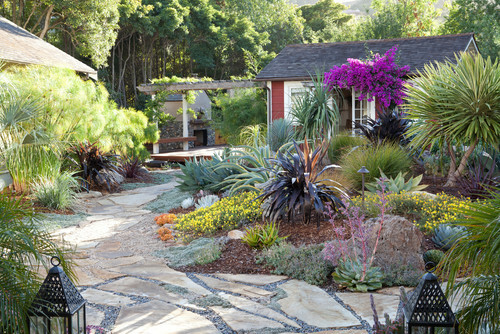 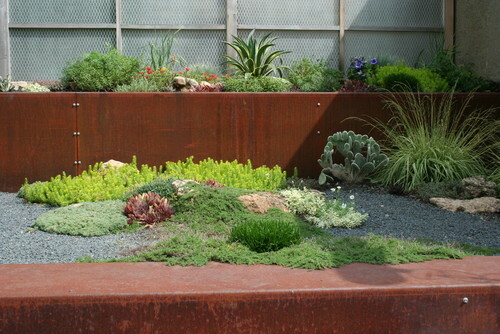 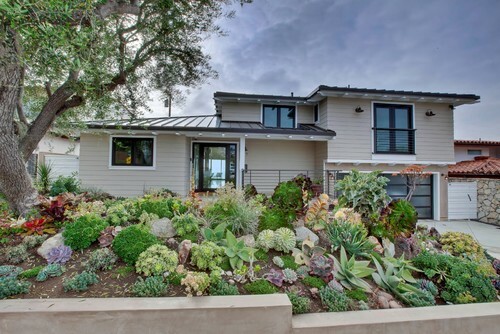 The following gallery provides 15 good examples of landscape designs that use succulent plants. 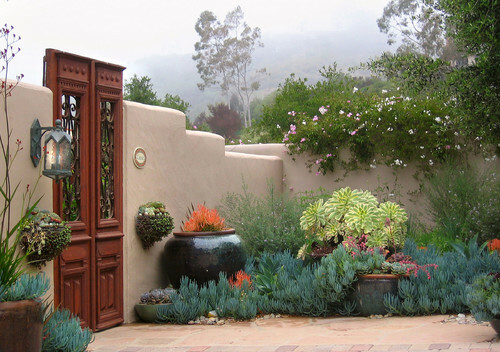 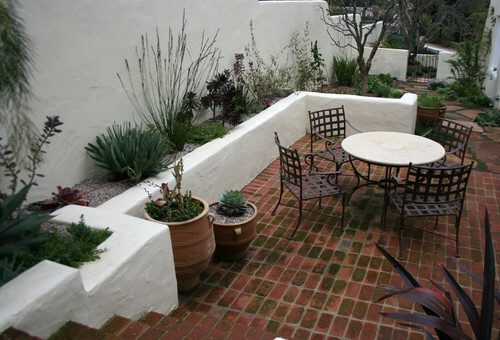 Mediterranean Landscape by San Francisco Landscape Contractors Frank & Grossman Landscape Contractors, Inc.